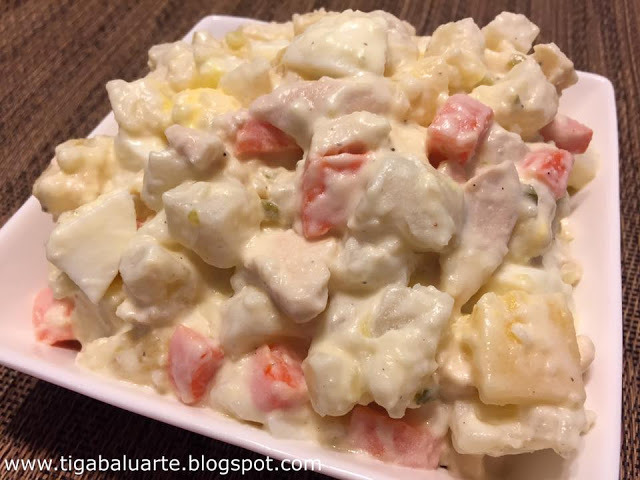 Buko Salad is a traditional Filipino fruit salad. 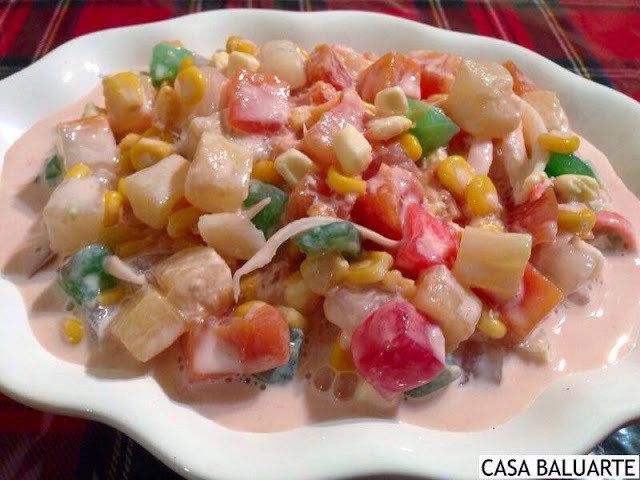 A refreshing Filipino dessert that is made from young coconut, nata de coco, fruit mix, cheese, cream and milk. 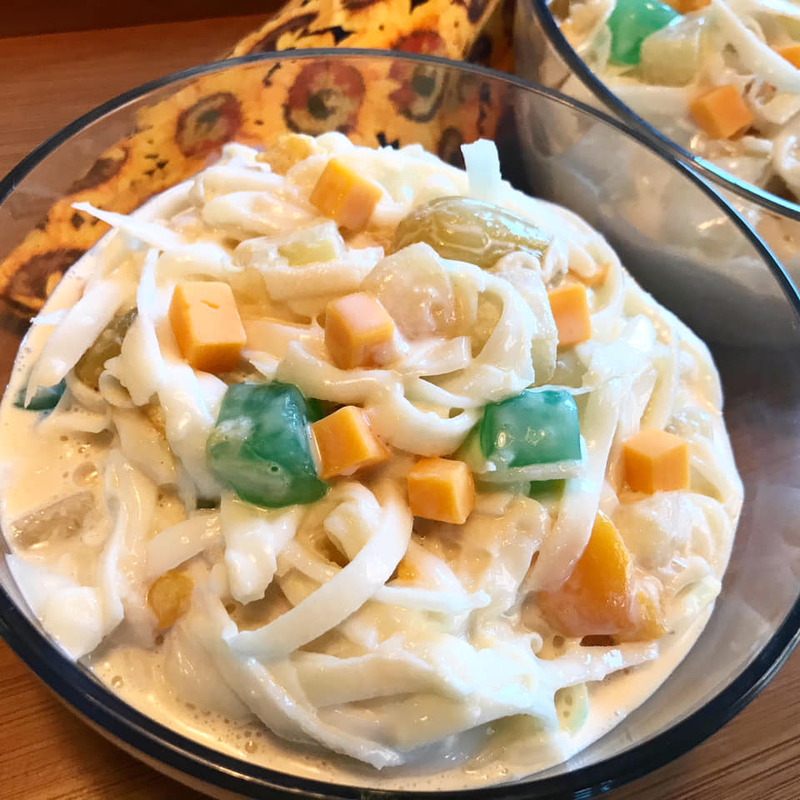 Buko Salad is a creamy dessert that is very popular in the Philippines and Filipinos around the world specially on special occasion like birthdays, town fiesta, Christmas and New Year. 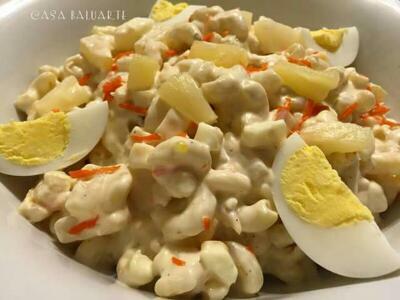 Every Filipino has its own version on how to make Buko Salad and this one of the simpler recipe. 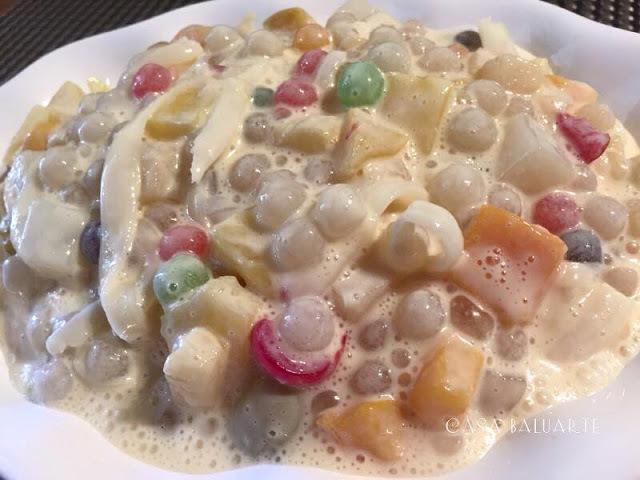 Make sure to drain all the fruits including the nata de coco overnight or at least for 3 hours before mixing with the cream and milk to avoid the Buko Salad from being soupy. 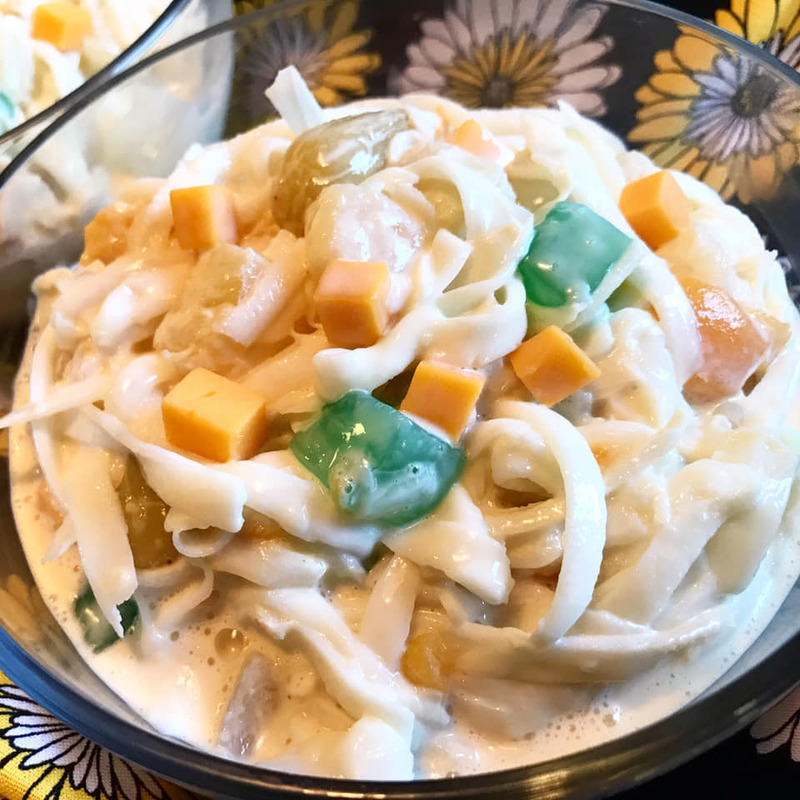 When I make Buko Salad I don't normally add lots of other fruit so it won't overpower the buko flavor but if needed, you can add raisins, kaong and whole kernel corn and a drop of pandan essence to this recipe just make sure to drain the fruits well. Add more cream and milk if needed. 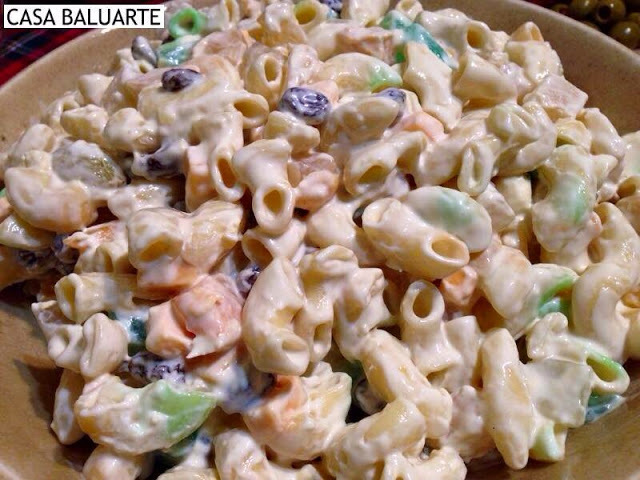 Don't forget to check related salad recipe below, click on the name link below the pictures to see complete recipes. In a big colander, drain juice from buko, fruit cocktail, nata de coco and pineapple. Drain for at least 2 hours or overnight. 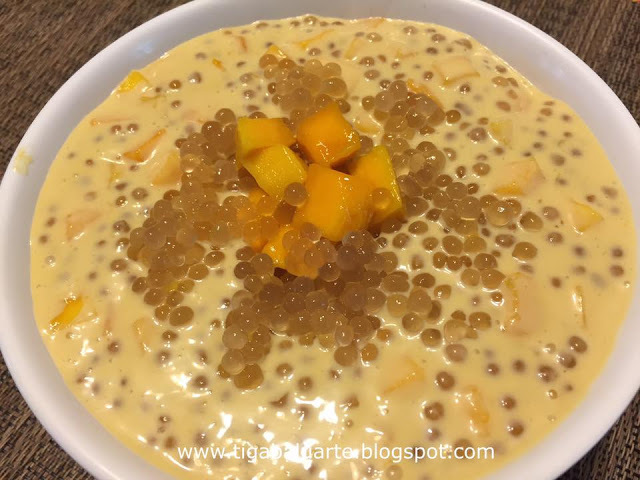 Combine condensed milk and table cream in a wide mixing bowl. Stir to combine well. Add cheese and drained fruits to the cream mixture. Fold gently until all the ingredients are well distributed. Transfer in a serving bowl and serve. Enjoy! Using a big strainer, combine young coconut, nata de coco, pineapple chunks and fruit cocktail. Refrigerate for at least 3 hours (or overnight) and allow all the liquid/syrup to drain. When ready, combine milk and cream and mix. Add drained fruits and cheese to the cream mixture. Gently stir to distribute the ingredients. Refrigerate or freeze overnight before serving.